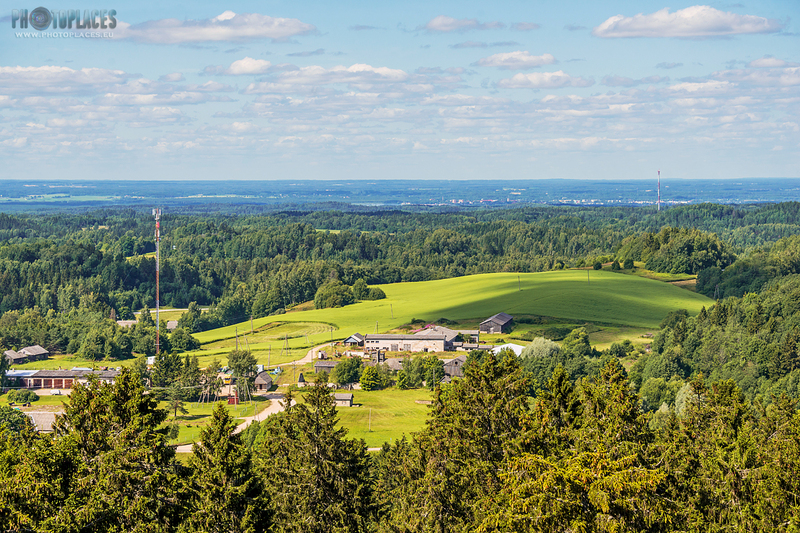 The highest observation point in the Baltic states is to be found on Great Munamägi hill. 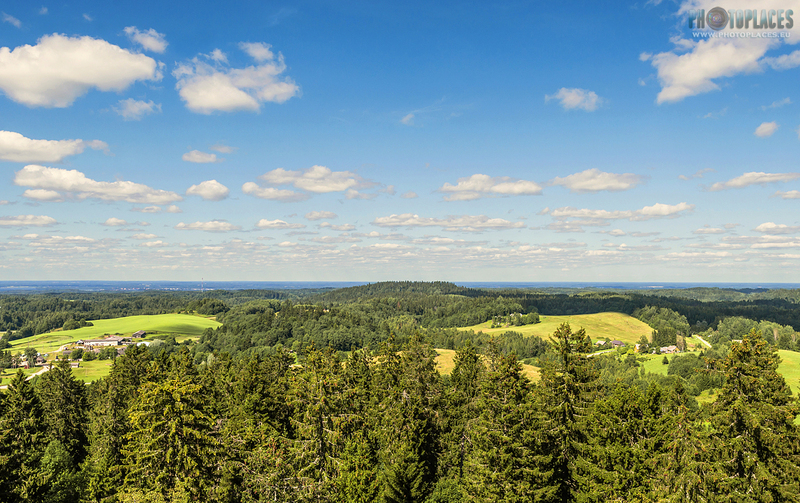 From there you can get a good views of South-Eastern Estonia landscape in around 30-40 km distance to all directions. 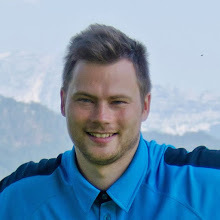 Latvians could start with the construction of a decent observation tower on their highest hill at first - because there is none since the controlled demolition of the old tower back in 2013. 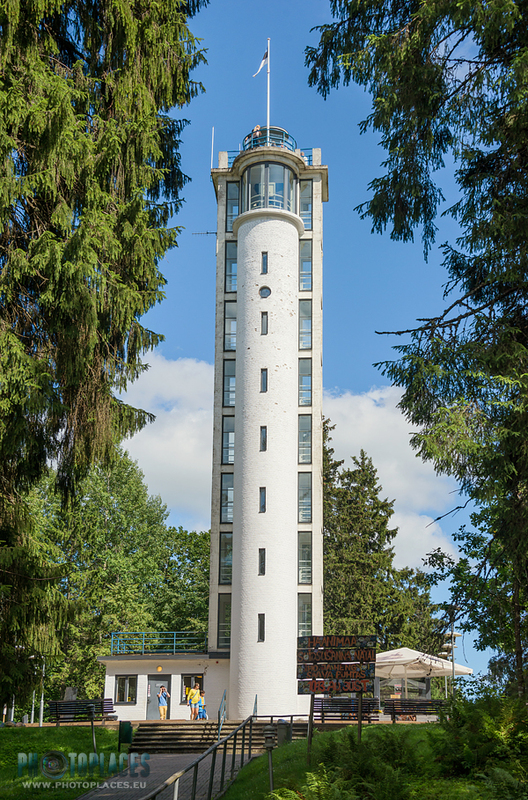 Whereas Munamägi observation tower with it's 29 metres height makes it the highest observation point in the Baltic states (total absolute height together with the hill is 346,7 metres). Struve Geodetic Arc project (to measure exact size and shape of the Earth) which is now included in UNESCO World Heritage list. In 1870, a new, 8 metres high tower appeared on the hill - it was built by a witty local pub owner who realized the importance of providing a good view as a good additional value for his customers - beer and vodka drinkers (hopefully noone fell down from the tower while being drunk up there!). Soon it was replaced by another, 12 metres high tower. 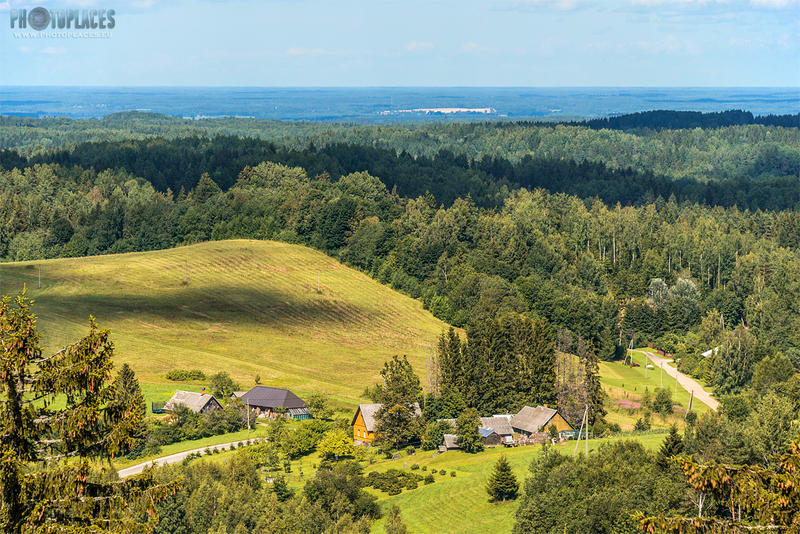 When Estonia gained it's independence, it started to deal with Munamägi tower case on a national scale. The first attempt in 1925 wasn't a long-term success - the 17 metres high wooden tower was soon again overwhelmed by trees... Finally, the current, reinforced concrete and brick tower was started to build in 1930ies. More than 36 000 bricks and 80 tons of cement was brought up to the hill - now that's a serious approach. 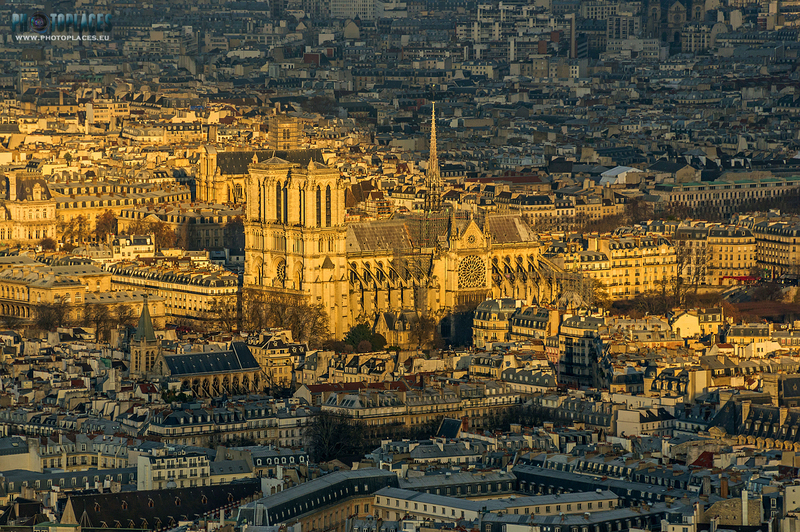 Later, in 1960ies, the tower was heightened by constructing an additional floor to it. 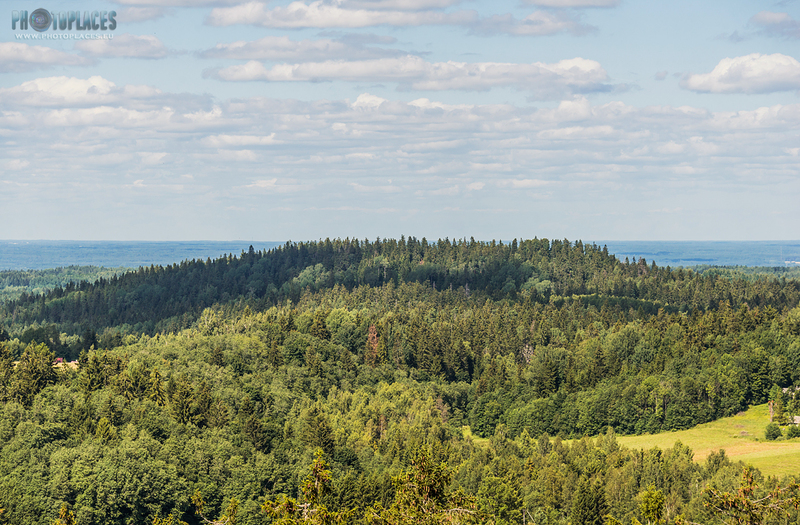 The quality of scenery from Suur Munamägi observation tower is nice (although not spectacular). 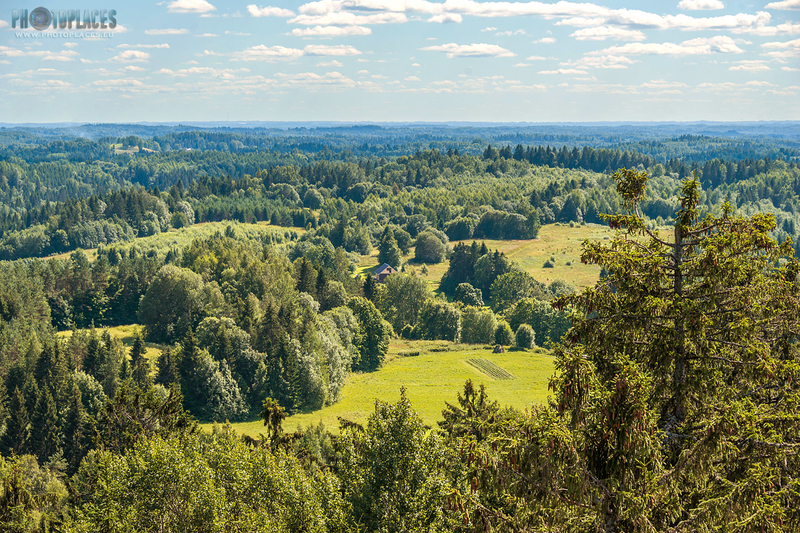 Munamägi surroundings mostly consists of forests but there are some view-diversifying perspectives. 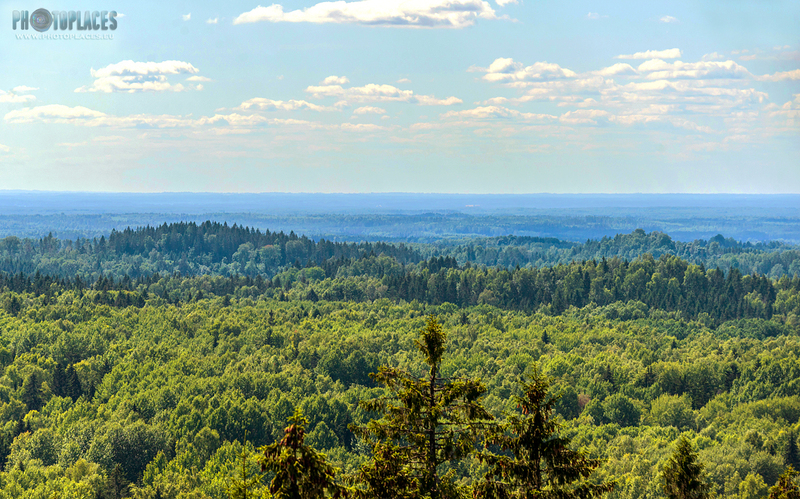 One of them is the second highest hill in Estonia (and the highest one of the relative height - 84 metres) - Vällamägi hill - which is located just about 2 kilometres to North from Munamägi (Munamägi relative height is much lower, just about 60 metres). 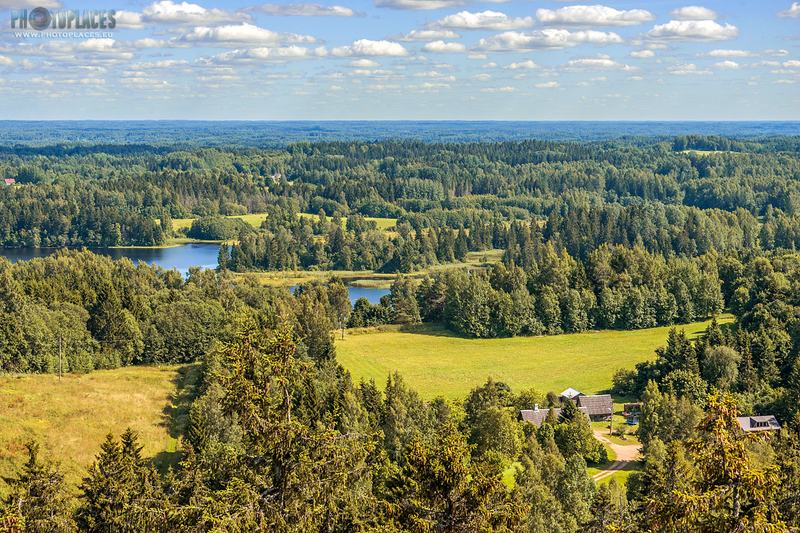 There are also few other interesting visual perspectives (see them in photos) - the uneven, mildly hillish scenery of whole Haanja Upland which surrounds it's king; the view with the nearby Vaskna lake, which appears like a blue stretches of water in between the green swaths of forests; also some meadows and rural country houses refreshes the composition. 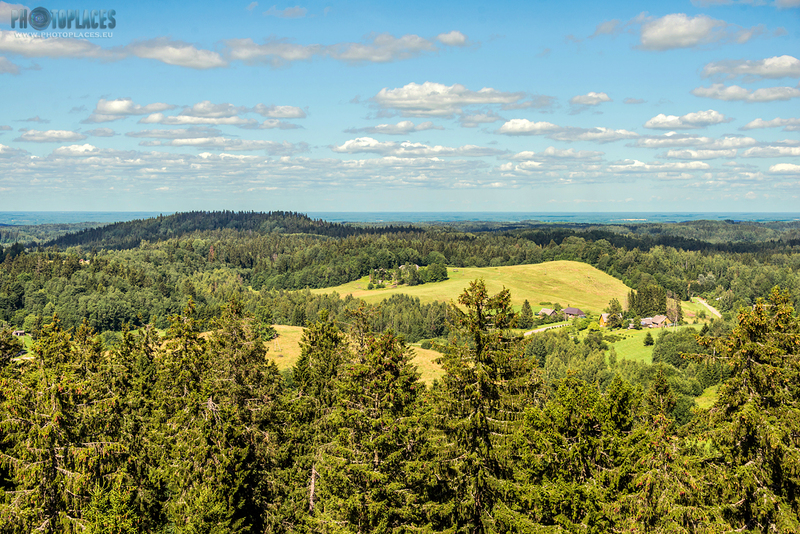 In the distance it's possible to spot also Võru town rooftops but it's too far (about 15 km) to get a meaningful view of it.